Jens Olsen’s World Clock or Verdensur is an advanced astronomical clock which is displayed in Copenhagen City Hall. It is the most precise mechanical clock in the world and only outdone by atomic clocks. It has been gilded with four kilos of gold. It calculates the dates of the religious holidays and full moon of a coming year. It makes the calculations within six at midnight on New Year’s Eve. It has the slowest turning gear in the world. It was started by King Frederik IX Thursday 15 December 1955 at exactly 3 pm. 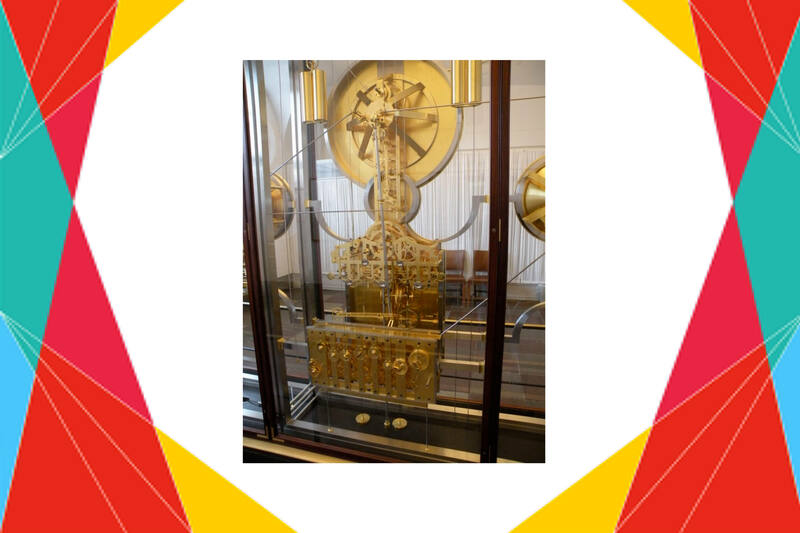 The clock consists of 12 movements which together have 15,448 parts. It is winded up once a week. Displays include lunar and solar eclipses, positions of the stellar bodies, and a perpetual calendar, in addition to the time. It has rhodium coating on all metal faces in the clock. It mainly consists of brass parts that derived from melted down kitchen utensils from Danish households of the 1940’s. The clock was designed and calculated by Jens Olsen who was a skilled locksmith, but later learned the trade of clockmaking. He also took part in the beginning of the clock’s construction.By the time Jens Olsen was 60, he had made all the necessary calculations. He died in 1945, 10 years before the clock was completed.The responsibility for completing the clock fell to the young watchmaker, Otto Mortensen. At this stage, the project still needed to construct the perpetual calendar.